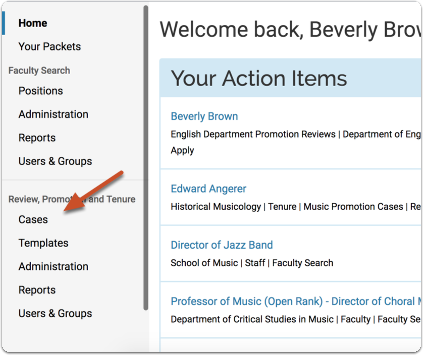 Administrators and Committee Managers can share packet materials such as committee documents with the candidate, and allow or disallow a candidate response or rebuttal to the shared material. This is useful, for example, if your organization requires that you give the candidate an opportunity to respond to a committee's decision about the candidate, or if for any reason you need the candidate to view or respond to materials added to their case packet. 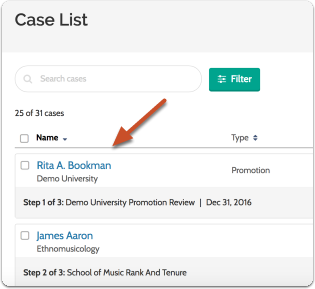 When sharing case materials with the candidate, the candidate will get a notification that materials has been shared with them, and indicating if a response is allowed or required. They must log in to their account to view the shared files. 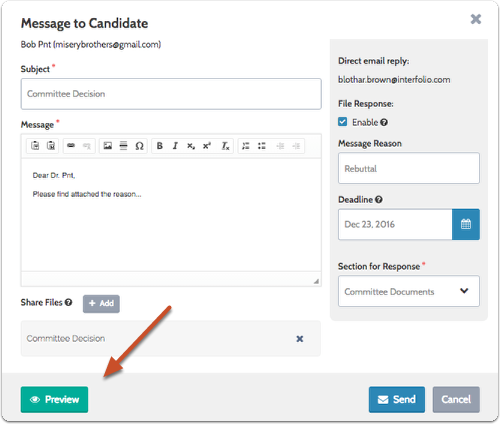 You can specify whether or not the candidate can submit a response to the shared files within the platform. 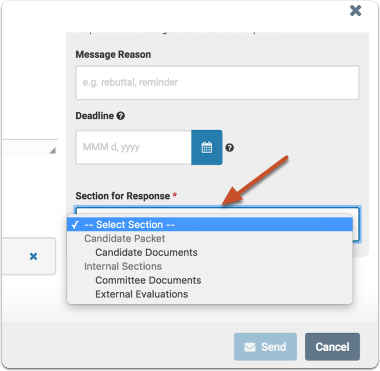 When sharing files with a response allowed, you are required to set where (in which packet section) the candidate's response will appear in the packet. 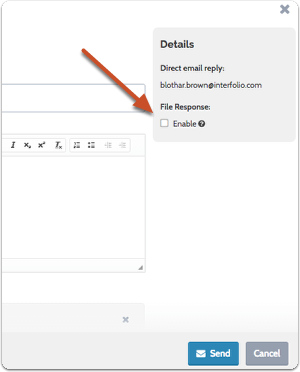 You also have the option to let the candidate know your reason for sharing the file, and to set a binding deadline for a response. 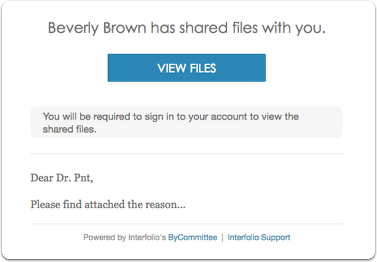 This article explains the process of sharing files with a candidate and allowing or disallowing a candidate response or rebuttal. External evaluations are never shared with the candidate. The system will not allow it. It would be hard to accidentally share materials by using the "Share" feature. During the implementation process, Project Managers will work with institutions to ensure that faculty and staff receive comprehensive training on RPT and that institutional policies are well documented and understood. Click "Share" and select "With Candidate"
No files will be directly attached to the email. 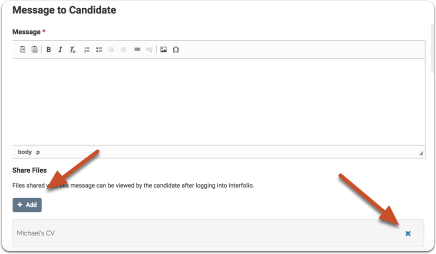 The candidate will receive an email notification that files have been shared, and will need to login to their account to view the shared files. This is a hard deadline. 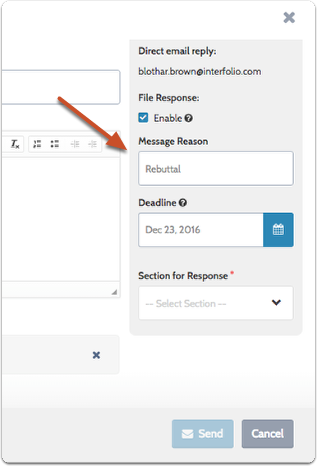 Candidate's will not be able to submit a response after the deadline you set here. 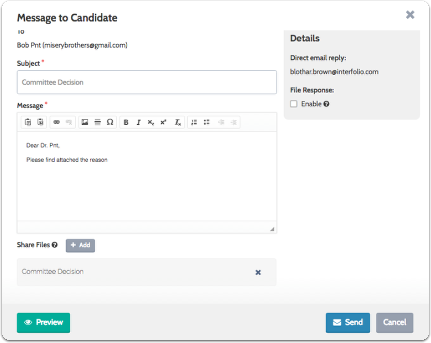 Responses to files shared with candidates can be set to post to any section when they come in.